I hope everyone's week is going well. I can't believe it's almost the weekend! Yay! 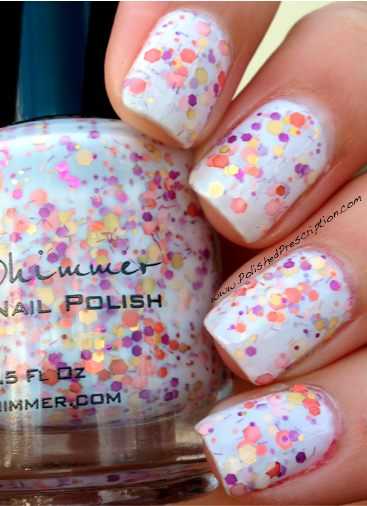 Today I have a really awesome polish to show you from KBShimmer called You Autumn Know. 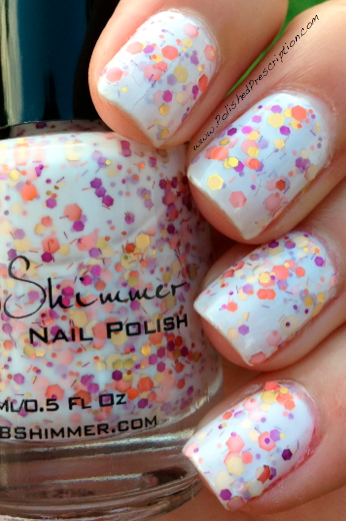 It was just recently released as part of KBShimmer's fall collection for 2013. I was so excited about the three polishes I bought from this collection, I ordered them the first day they were available on September 1. And clearly I didn't waste any time trying this one. You Autumn Know exceeded my already high expectations. It has a white crelly base that's filled with yellow, purple, and orange glitter. There are different sized hex glitters as well as some tiny bar glitters. I absolutely love the color scheme of this polish - it's festive and perfect for fall. Ugh I've been getting so excited for fall lately, this polish is right up my alley. Bring on the pumpkins and all the fall-scented candles! Hell yes! The formula was great. I used 3 easy coats to get the white base completely opaque. The glitters came out easily and settled nicely on the nail without requiring any fishing or intentional placement. The dry time was also faster than I would expect from a thicker glitter-packed polish like this. I used two thick coats of KBShimmer Clearly On Top to smooth everything out. I love this polish so much!! It's so unique and just everything about it is awesome. This is one of those polishes that I didn't get tired of, even though I wore it for a few days. I didn't even have any chipping! Yay! 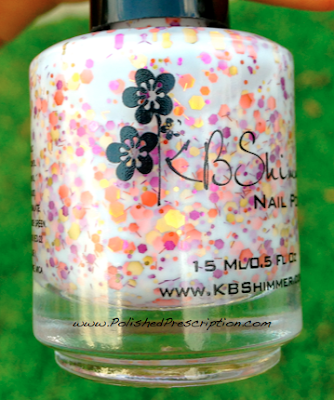 Have you tried any polishes from the new KBShimmer collection? 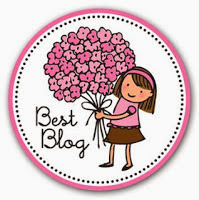 What do you think about You Autumn Know? I have limited experience with this brand, but all of my experiences thus far have been nothing short of amazing! Definitely a fan. I love this one. I may have to put it on my wish list. The colors are so unique :) Great swatches. Aw! This was beautiful Kelsey! I love the glitter combination of the warm gold and orange with the cold purple! Stunning! Gorgeous & really unique compared to my other fall shades I've been working with!